Nico & Lala were a dream to work with! 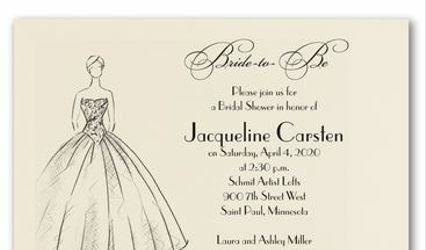 While planning my wedding, I knew I wanted a customized, cohesive feel from our invitations, to our attire and decorations. I was so happy when I stumbled upon the work of Nico & Lala on Pinterest one day, and e-mailed them right away. We set up a phone call for me to describe what I was looking for, the formality, theme, and overall feel I desired. I wanted something with soft colors (ivory, blush, charcoal gray), classic, romantic, with elegant coastal elements without making the wedding into a nautical theme party. Nico & Lala got to work and created a selection of wedding logos with the initials of our first names intertwined over a graphic of an old fashioned compass. 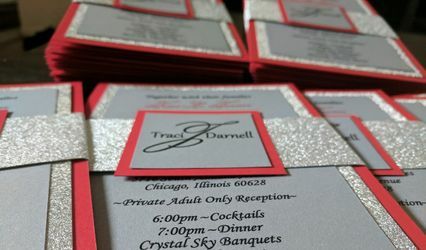 Once I selected the wedding logo, we moved to the invitation proofs, which we were able to totally customize (design, wording, colors, style of printing, pieces--invitation, reception card, schedule of events, rsvp card with specific rsvp for welcome cocktail hour, meal choice, transportation, & brunch). Finally, we moved on to wedding "swag" to fit our customized needs (table numbers, place cards, signs for custom cocktails, place cards, guest book, amenity basket, & our hash tag, "just married" sign for our trolley). Everything was so unique and different, but fit within the same gorgeous overall look. 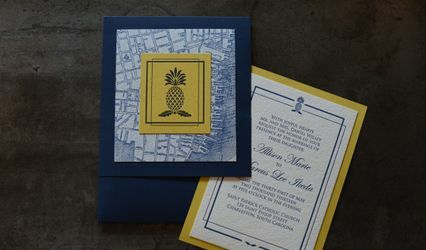 I would recommend Nico & Lala to anyone who wants the whole coordinating package, or just truly custom wedding invitations!